Motorcycle accidents are similar to other accidents in that personal injury compensation is often awarded to those injured. However, due to the unique characteristics of the motorcycle as a vehicle, several facts can affect the amount and type of damages a motorcycle accident victim can recover. 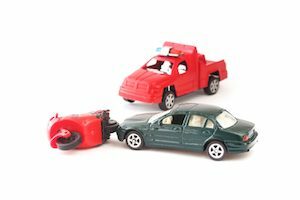 What Kind of Accidents Will Result in Personal Injury Compensation? Riders of motorcycles are at higher risk of injury and death when getting into an accident. Unlike drivers and passengers in the typical motor vehicle, motorcycle riders have very limited protection from physical injury during an accident. Most of the time, a motorcycle rider will have only a helmet and clothing to protect them from injury during an accident. In contrast, someone in a car will often have airbags and a reinforced passenger cabin to protect them from harm. Motorcycle riders are also likely to suffer certain types of injuries when in an accident. For instance, burns, scrapes and abrasions are more likely; the design of a motorcycle naturally exposes the rider to the engine block and road, and the rider usually comes into contact with both surfaces in an accident. How Is Personal Injury Compensation Available in Motorcycle Accidents? There are two categories of damages you can potentially recover from a motorcycle accident: actual damages and general damages. Actual damages include clear and calculated damages, such as lost wages, medical bills and property damage. Lost wages can include past and future lost wages while medical bills can include medical expenses already incurred as well as future medical expenses. General damages are less definite as they refer to more subjective things like pain, suffering and mental anguish. In a motorcycle or any other accident, actual damages are much easier to recover than general damages. To recover for pain and suffering, the plaintiff will need to provide evidence of significant physical injury. How Can You Prove You Deserve Compensation for Your Personal Injuries? To prove you should be able to recover personal injury compensation, you will need to prove liability. In other words, you’ll need to show that another individual was responsible for the accident. You may still recover damages for personal injuries sustained, even while bearing partial responsibility for the crash. It depends on the state law that applies in your lawsuit. For example, if you were not wearing a helmet in a motorcycle accident and sustained head injuries, you might still be able to recover personal injury compensation. However, any recovery you could receive would likely face significant reduction because your decision not to wear a helmet arguably contributed to your injuries. If you’ve suffered injuries in a motorcycle accident, personal injury compensation is a distinct possibility. So many different factors and circumstances affect any potential recovery. Therefore, we strongly recommend getting the advice of an attorney. To find out more about personal injury compensation, call Williams & Williams, LLC at 770-823-2711.